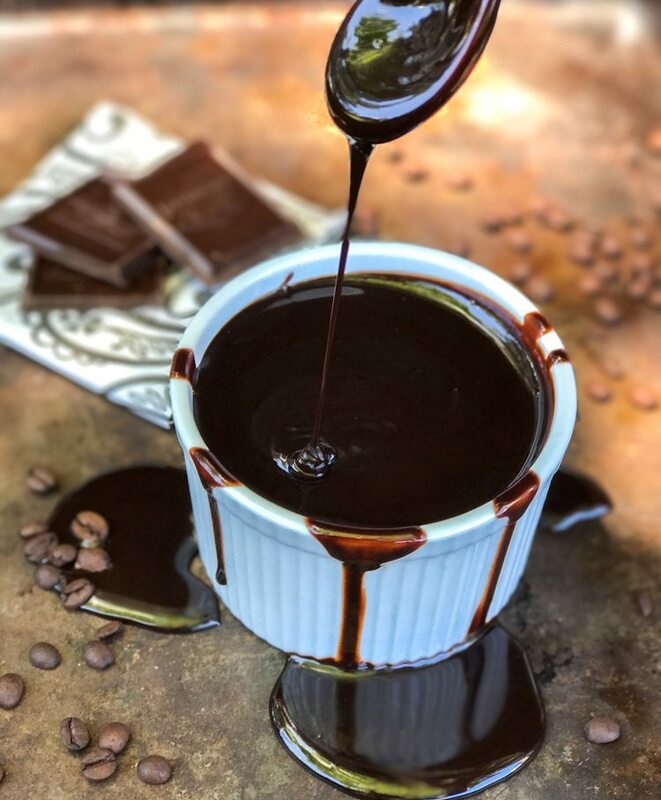 It’s a Fast Easy Mocha Fudge Sauce that will literally kick whatever you pour it on or stir it into, up a notch. Perfect over ice cream, stirred in coffee, poured over pancakes or waffles… shall I keep going? And did I mention, it’s easy and pretty quick too? It’s beginning to get a little warm here in St. Louis. There is no doubt that summer is upon us. And what does that mean? Lots of cold treats. 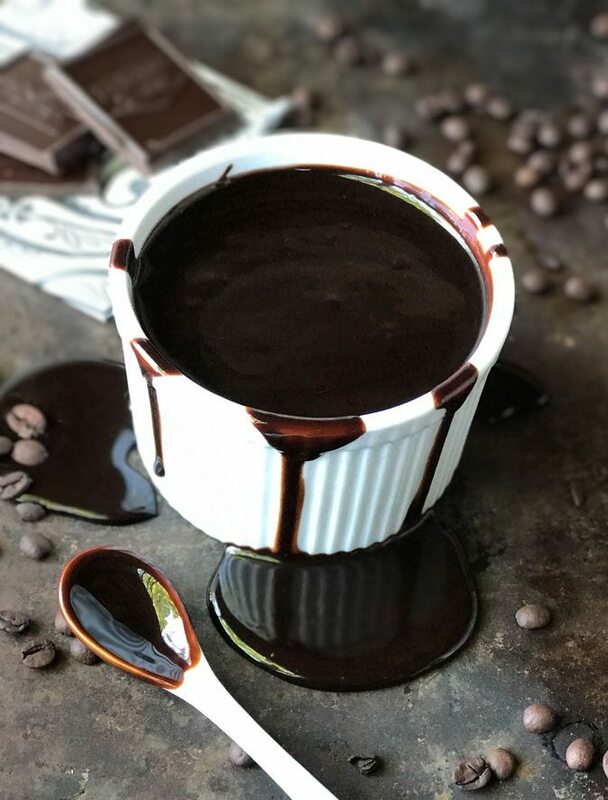 Summer is for ice cream and with ice cream comes great toppings and this fast easy Mocha Fudge Sauce is the perfect topping for almost any flavor. 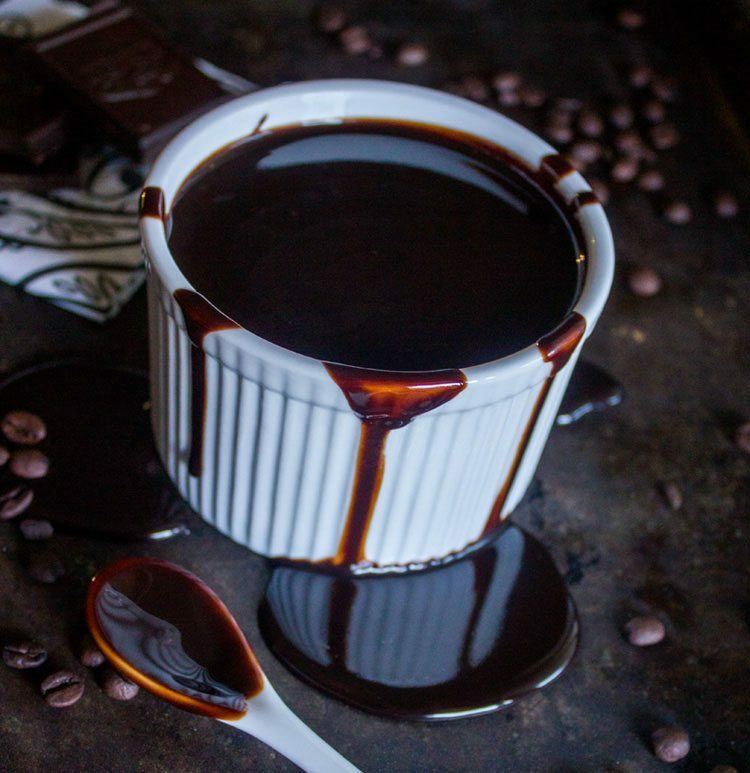 Need some ideas for using up this delicious fudge sauce? Try it over pistachio ice cream, fruit flavors or a scoop of just plain old vanilla. Any way you try it, this fast easy Mocha Fudge Sauce will probably show up several times on your table this summer. Let’s Make Some Fast Easy Mocha Fudge Sauce! Add 1” of water to the bottom of a double boiler pot and bring to a very gentle simmer. Place the top half of the double boiler on top. Combine the chopped Ghiradelli with the sweetened condensed milk, butter and strongly brewed coffee stirring with a spatula until smooth and melted. Serve over ice cream, cake, pancakes, waffles - the possibilities are endless! Are you ready to whip up a batch of Fast Easy Mocha Fudge Sauce? 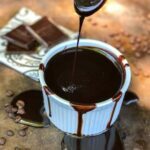 I’m curious, what are some fun and creative ways you can imagine using this awesome Fast Easy Mocha Fudge Sauce? Later this week I will be sharing a fantastic summer drink recipe that uses this exact recipe in it. Check back soon and I’ll link it here once it goes live. 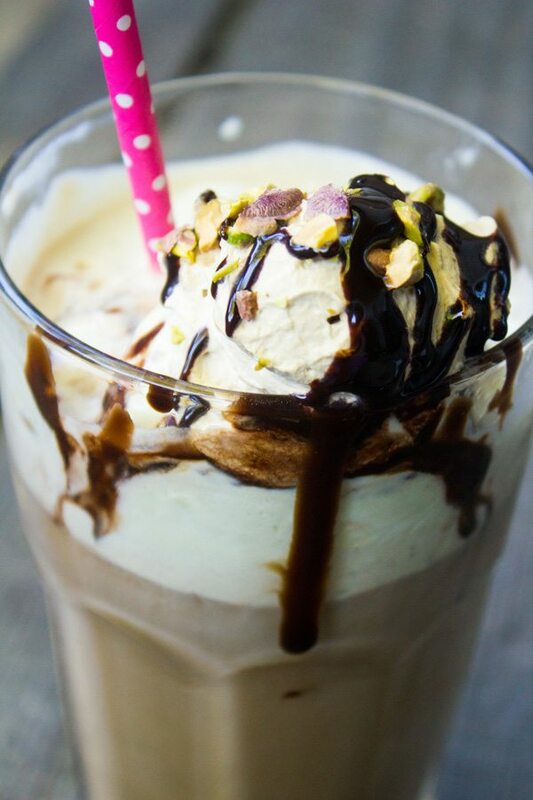 Be sure and check out these delectable Pistachio Mocha Coffee Floats!